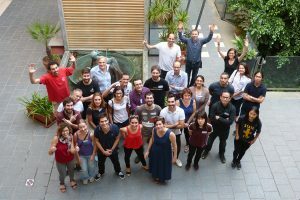 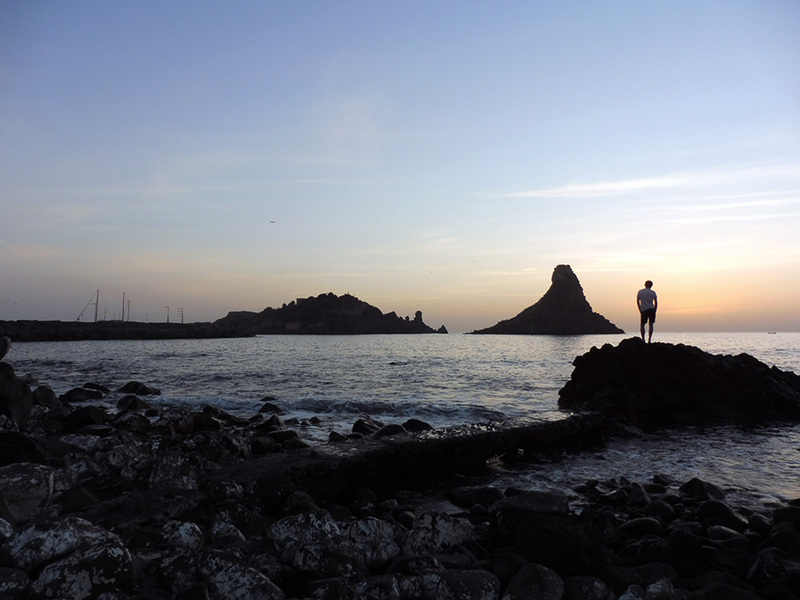 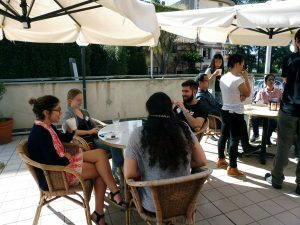 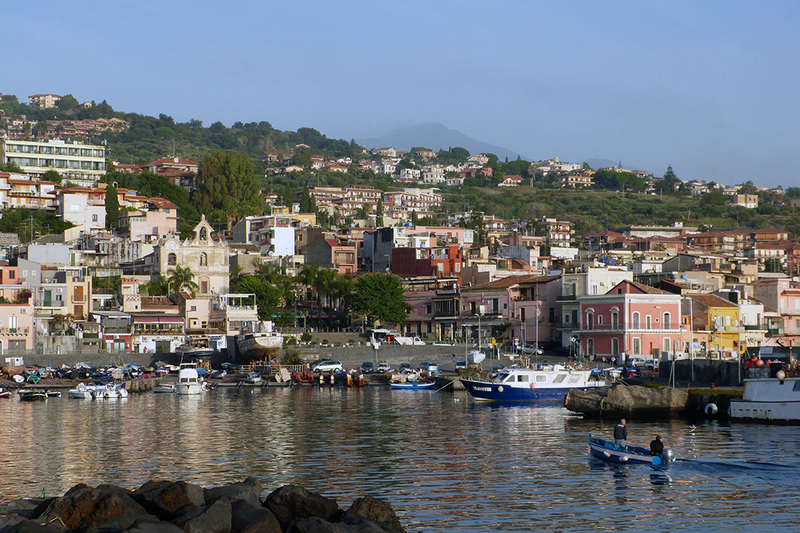 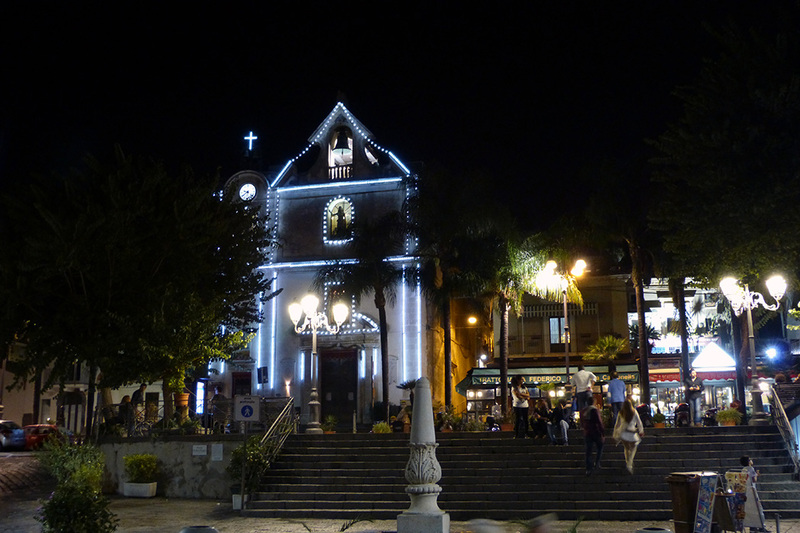 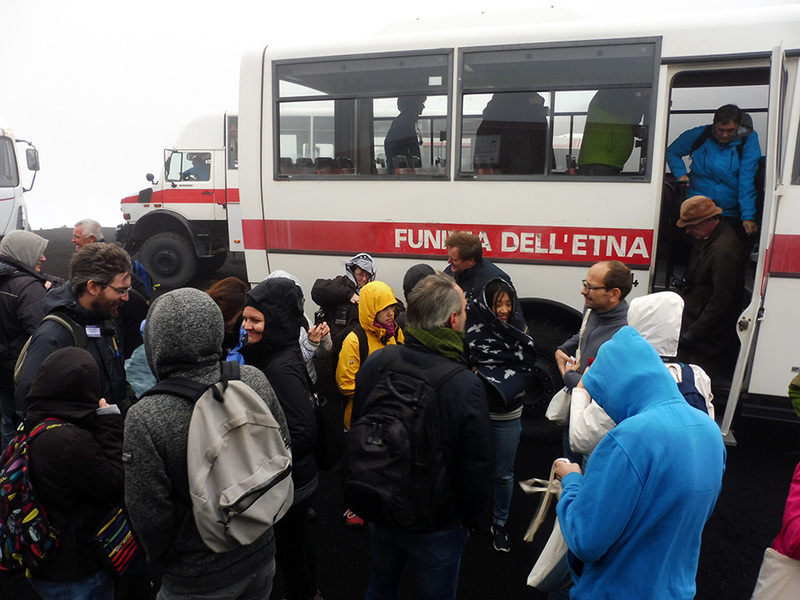 The 2016 Fall School gathered 34 people in Sicily. 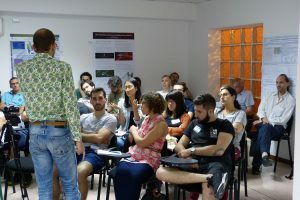 On this page, you will find the pedagogical materials that were used by the speakers, and that they have graciously put at our disposal. 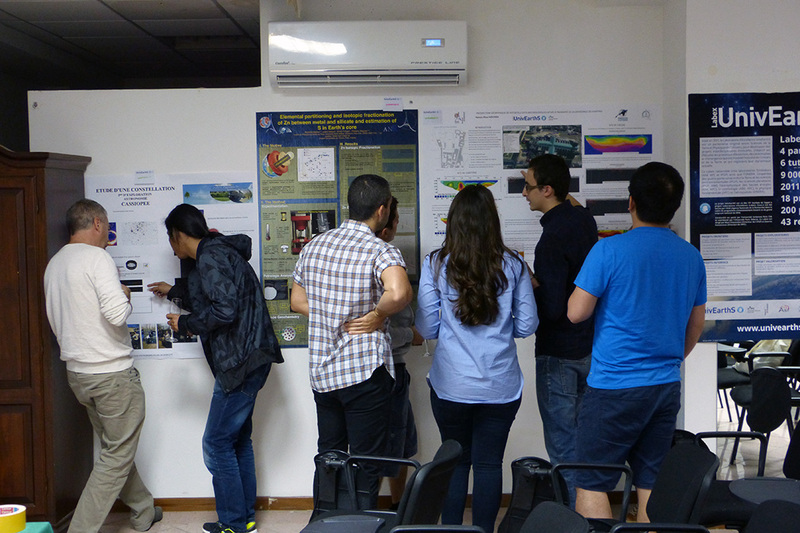 You can also consult all the posters made by the participants. 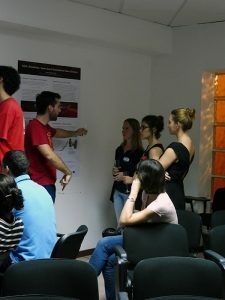 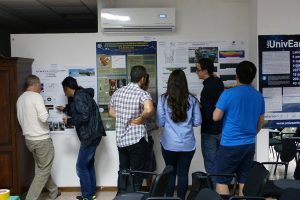 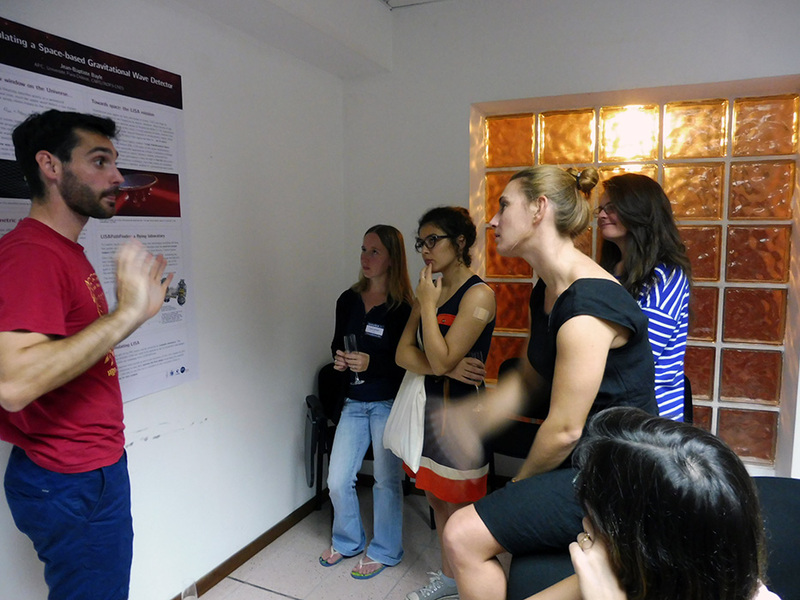 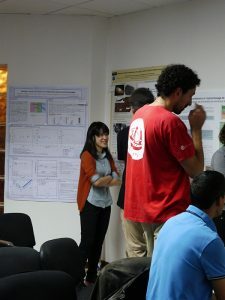 These documents were presented during several poster sessions, which allowed all participants to exchange and learn about each other’s work. They were able to discover projects and disciplines they knew little or nothing, allowing the Labex to fulfill its mission of interdisciplinarity and exchange. 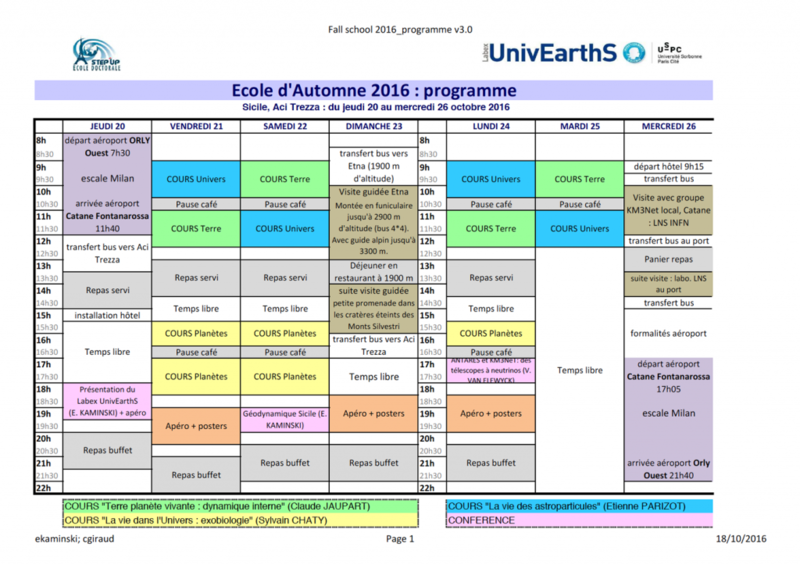 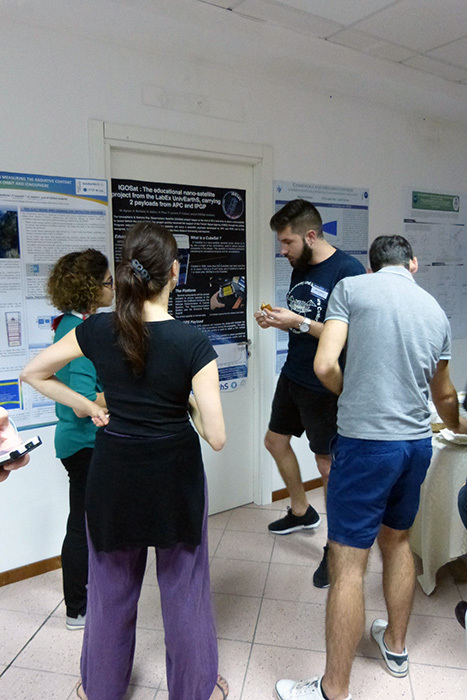 The third edition of UnivEarthS Fall School was organized in Aci Trezza (Sicily) from 20 to 26 October 2016. 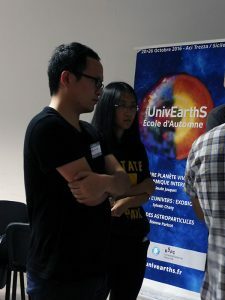 It is part of the global theme of UnivEarthS «Earth – Planets – Universe: observation, modeling, transfer “. 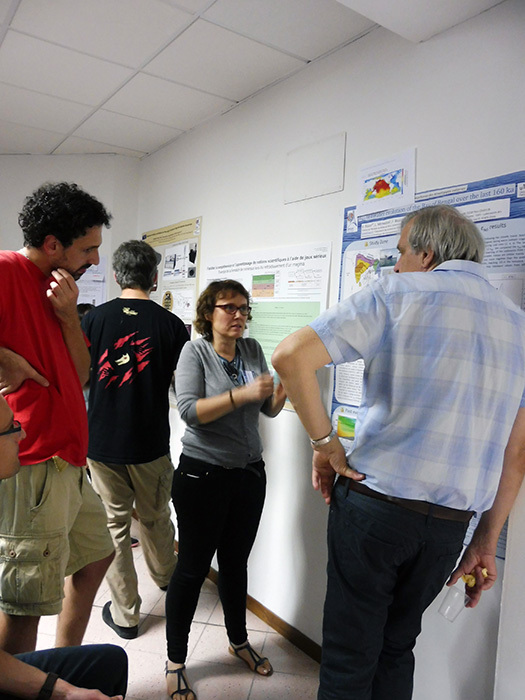 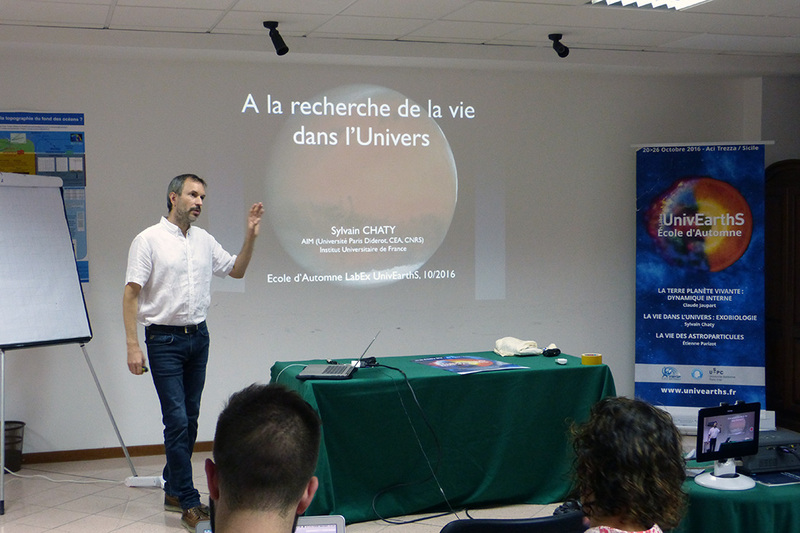 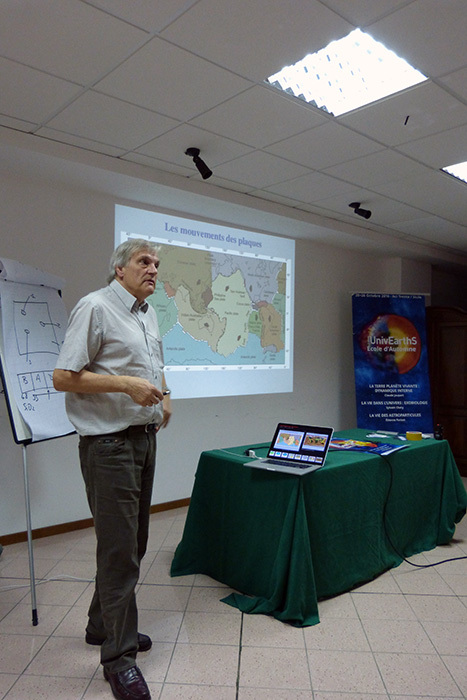 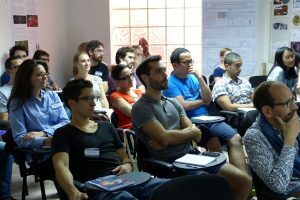 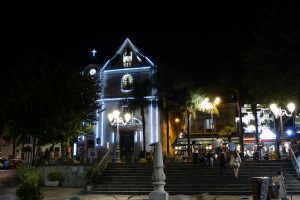 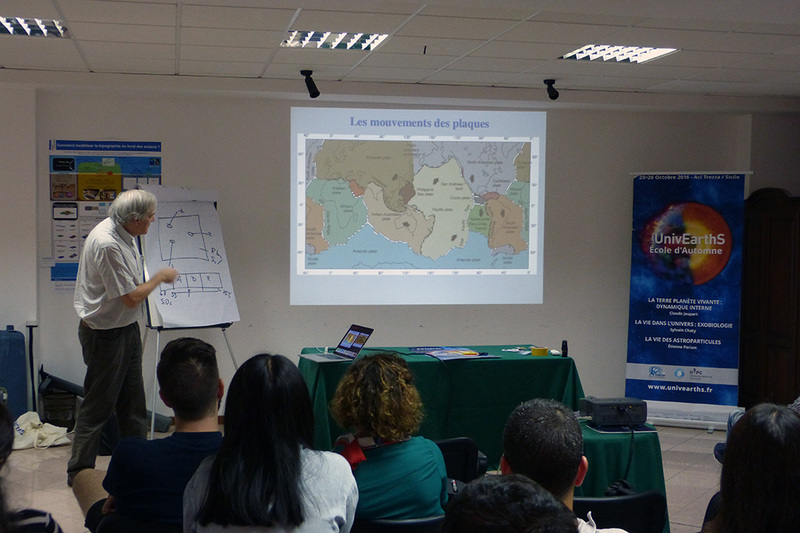 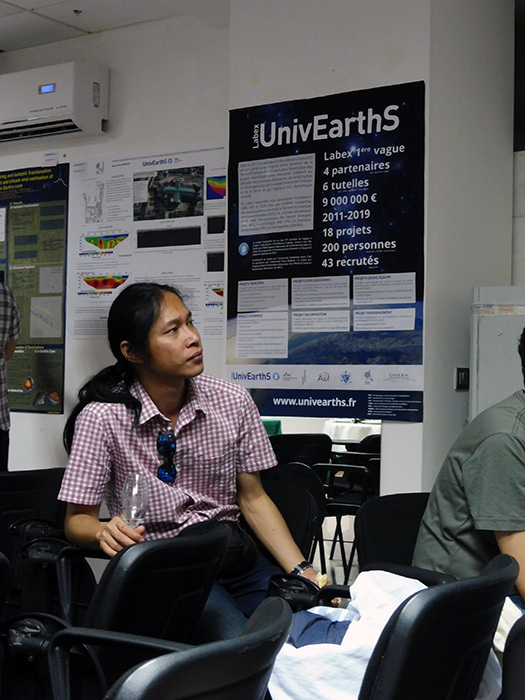 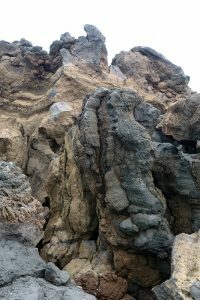 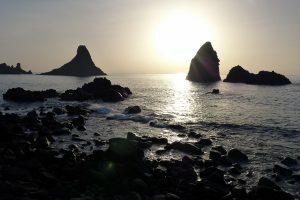 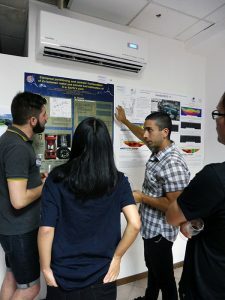 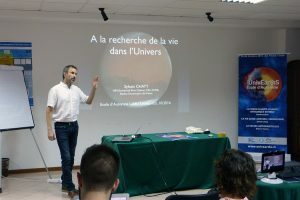 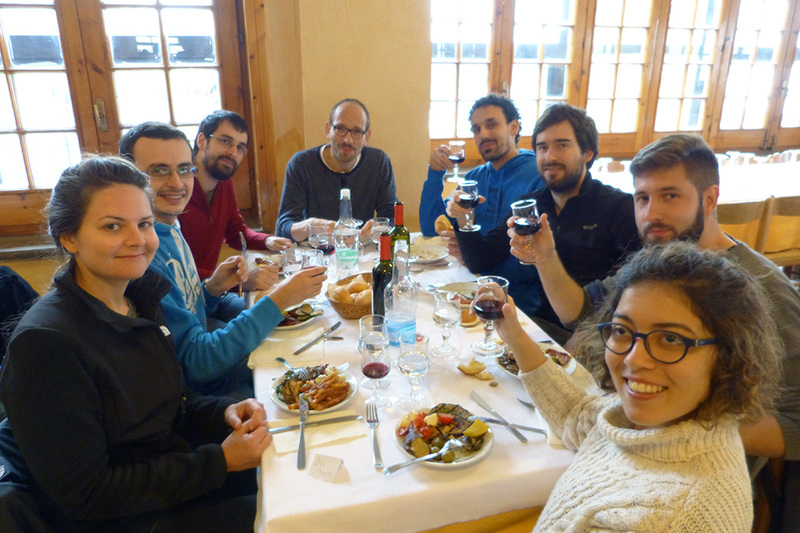 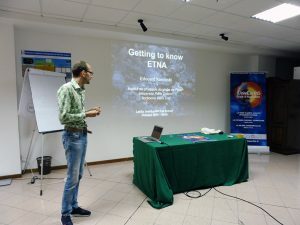 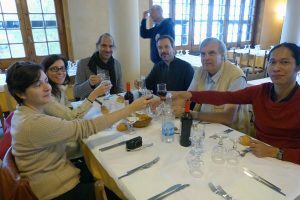 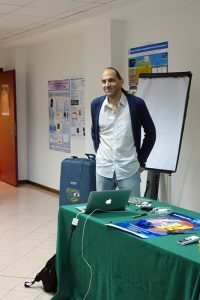 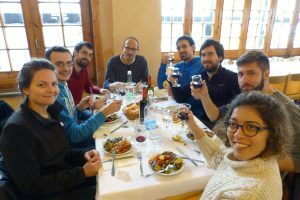 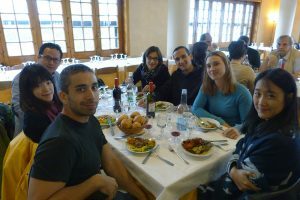 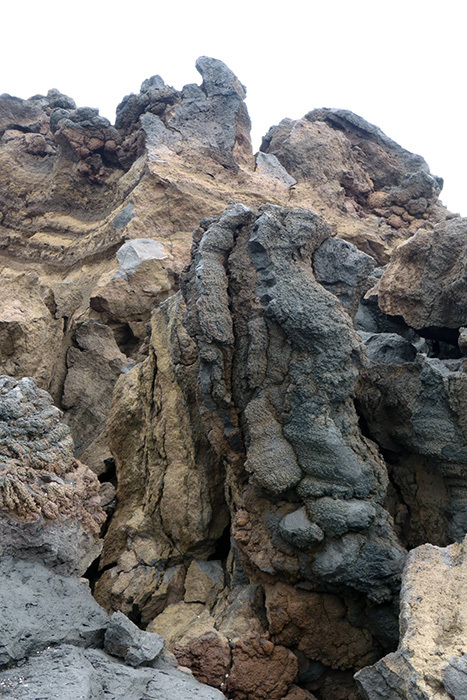 These courses were completed by two lectures: the first on the geodynamics of Sicily by Edouard Kaminski, and the second on neutrino telescopes ANTARES and KM3Net by Véronique Van Elewyck. 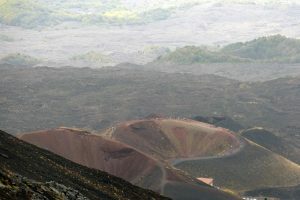 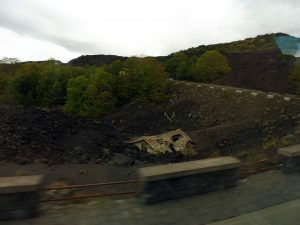 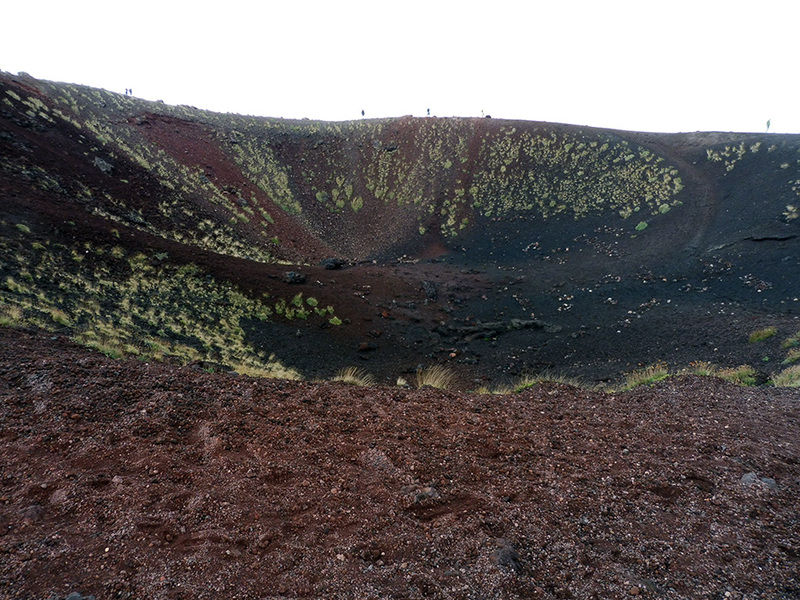 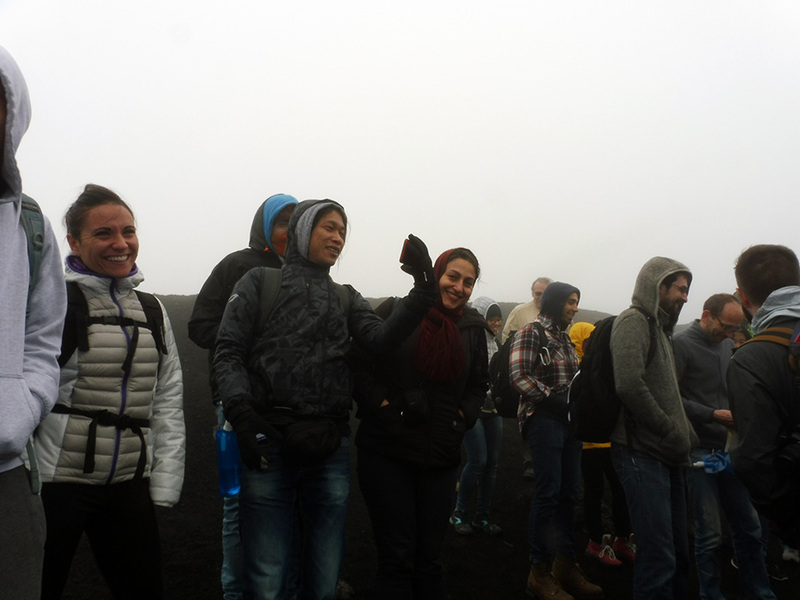 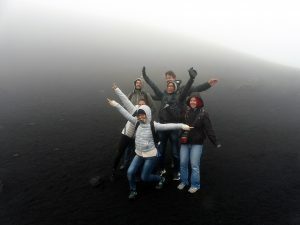 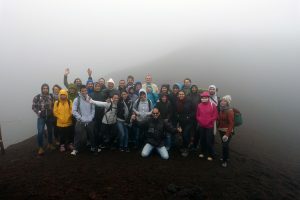 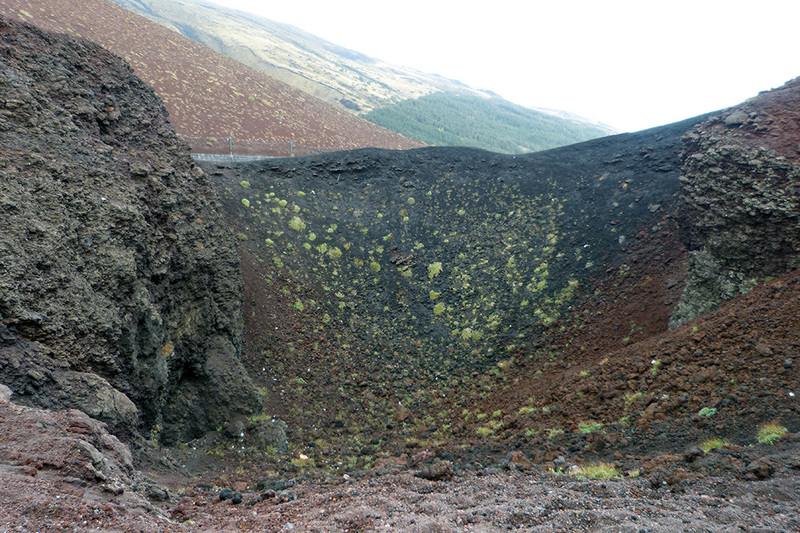 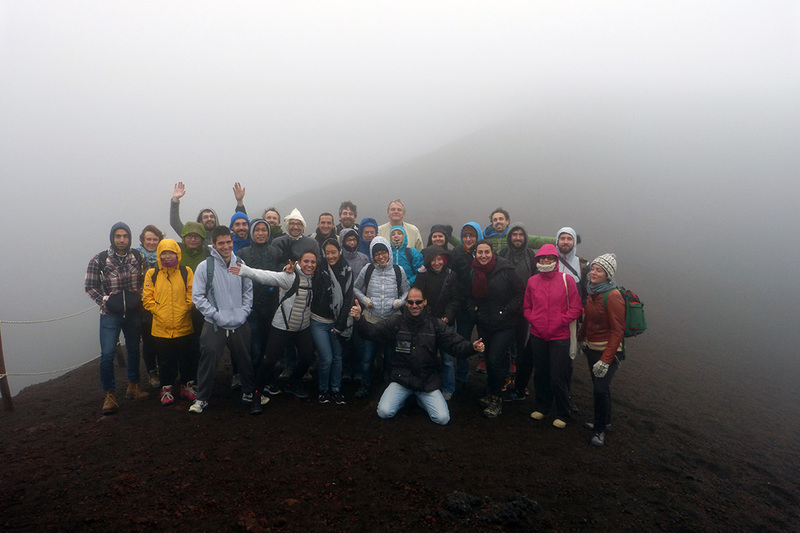 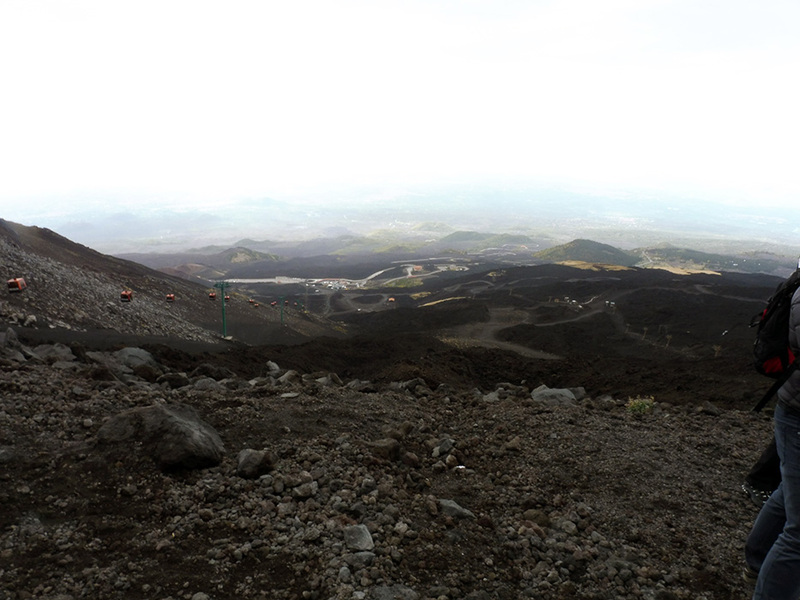 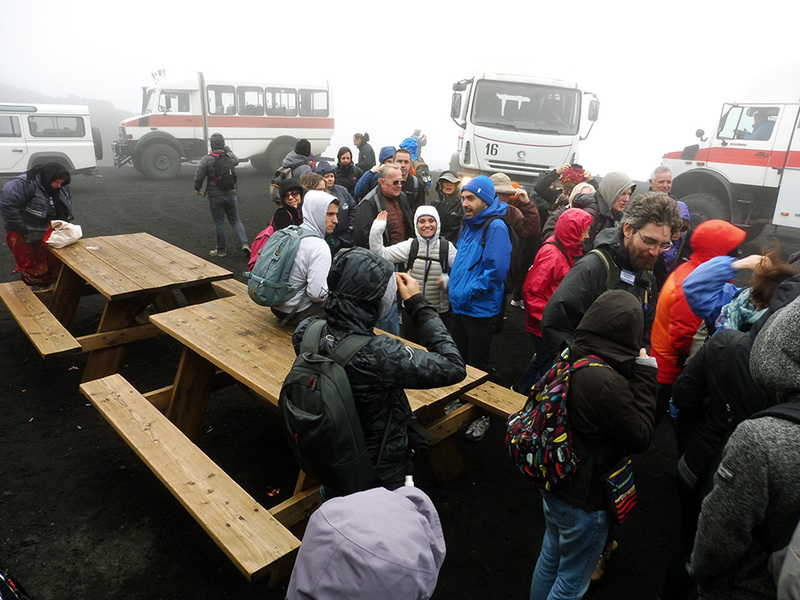 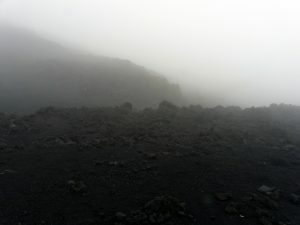 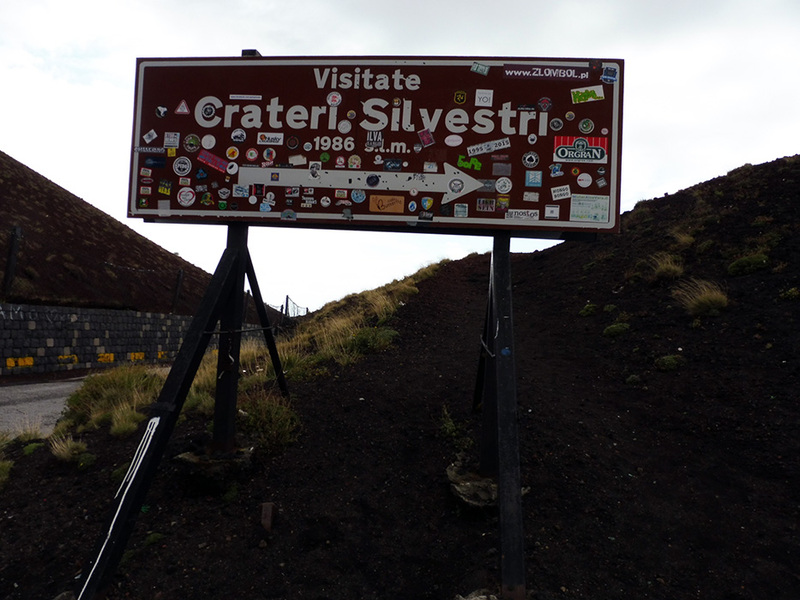 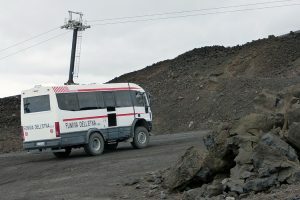 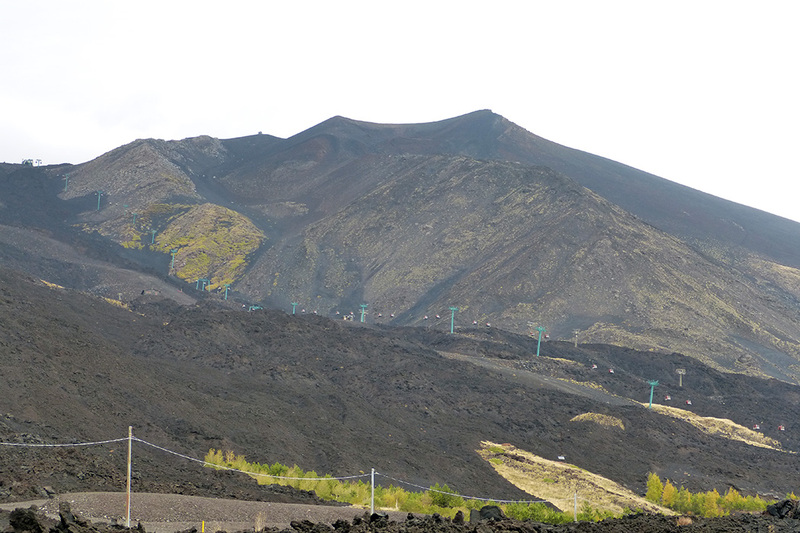 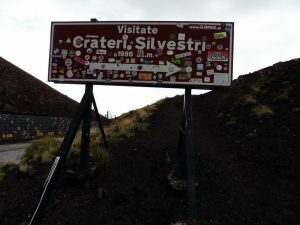 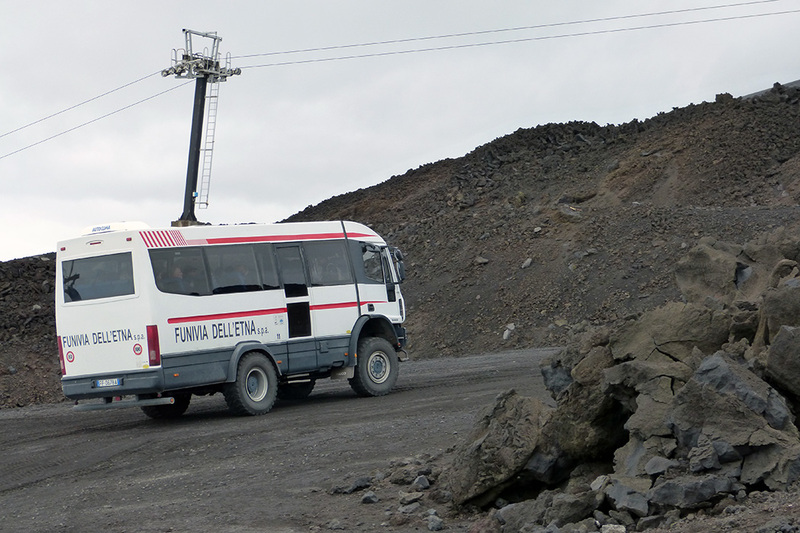 An excursion to Mount Etna took place, with a visit to the summit craters of Etna via a funicular + jeep and alpine guide. The weather conditions unfortunately prevented to take full advantage of the panorama because of the torrential rain that fell on the participants! 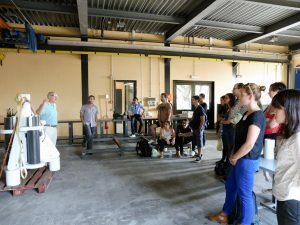 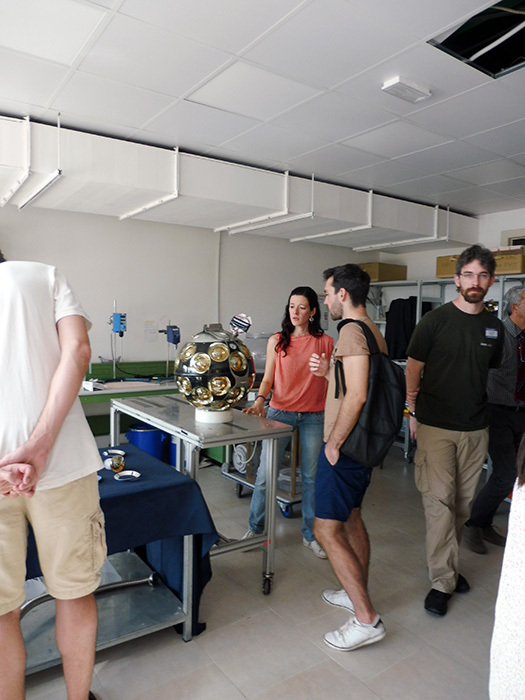 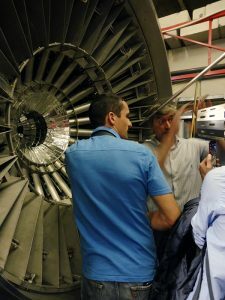 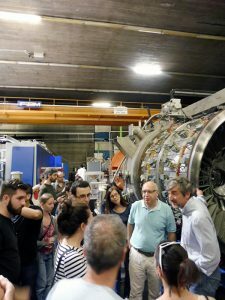 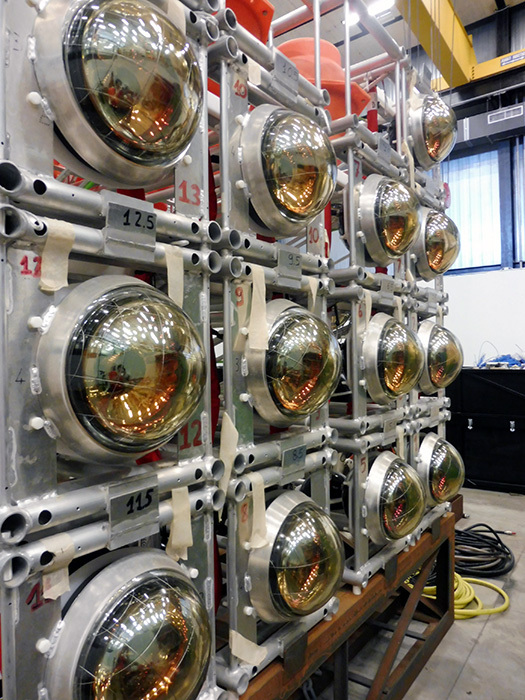 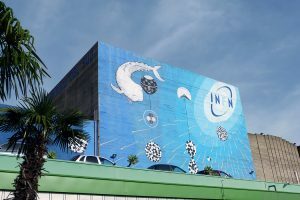 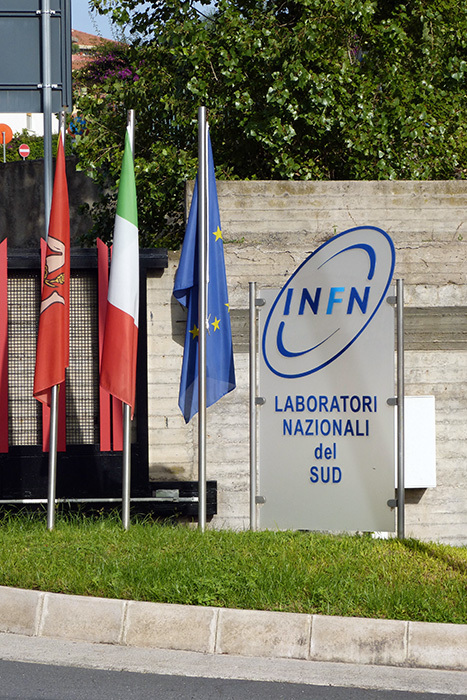 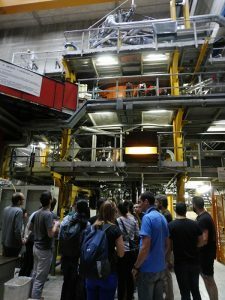 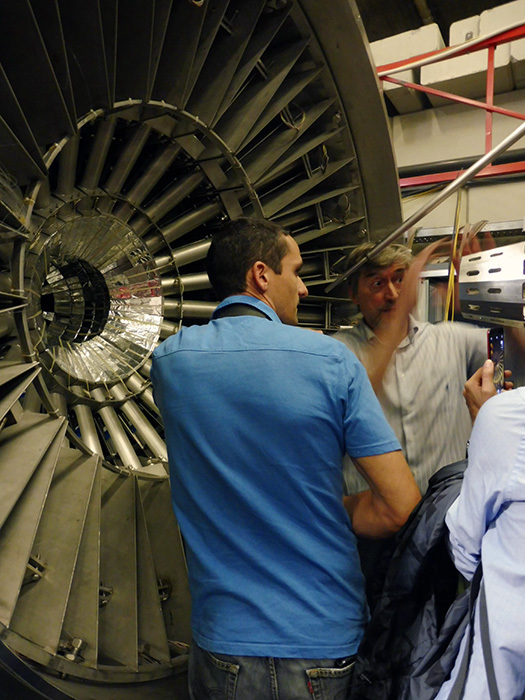 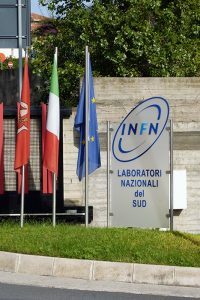 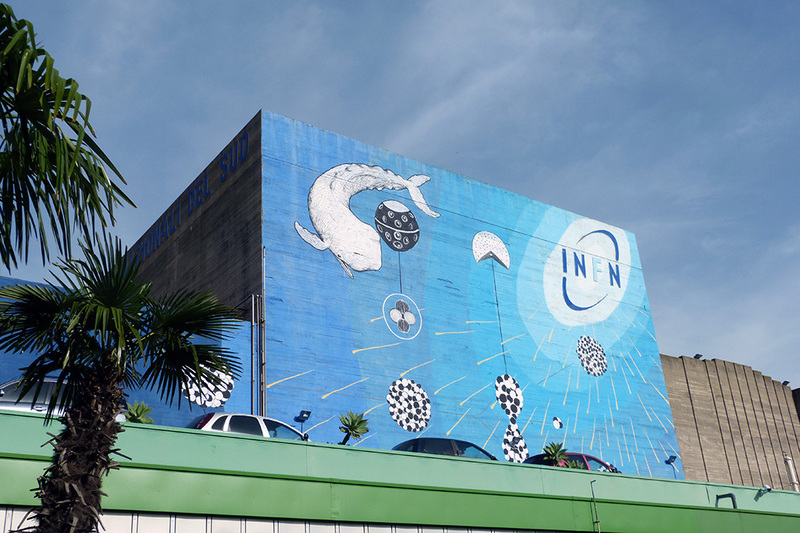 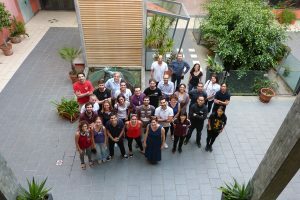 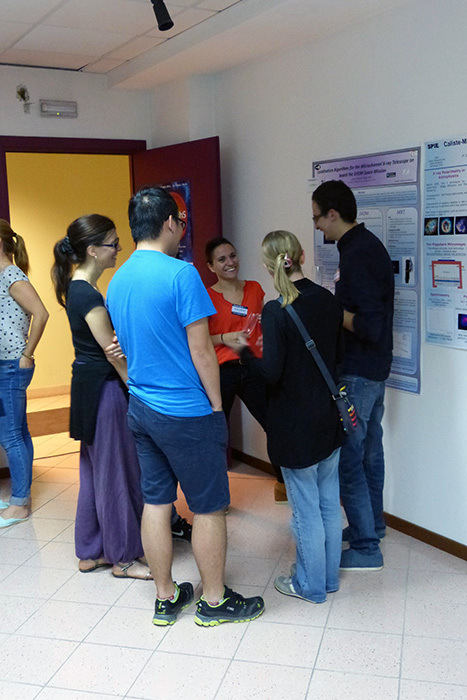 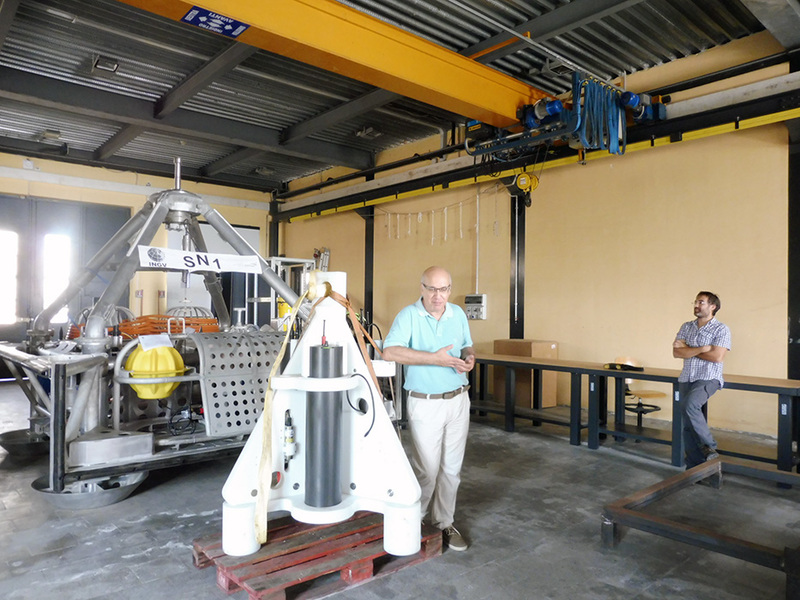 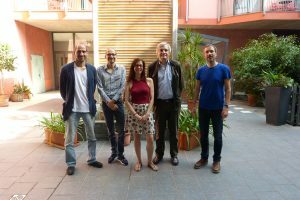 The second excursion took place more dry: a visit by Véronique Van Elewyck in connection with the European project KM3NeT (submarine neutrino observatory), at the Istituto Nazionale di Fisica Nucleare of Catania. The returns of the participants in the school are extremely positive, all of them declaring themselves “satisfied” or “very satisfied”. 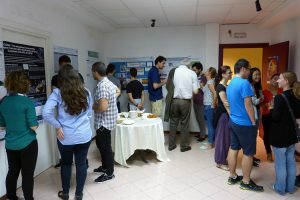 They emphasized the good organization of the courses and their distribution over the week, as well as the valuable discovery of new knowledge that does not belong to their usual field of research. 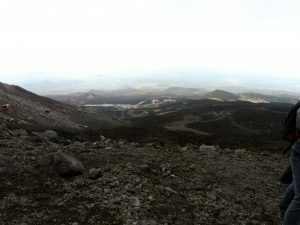 Some of the courses were filmed, and are shown on this page. 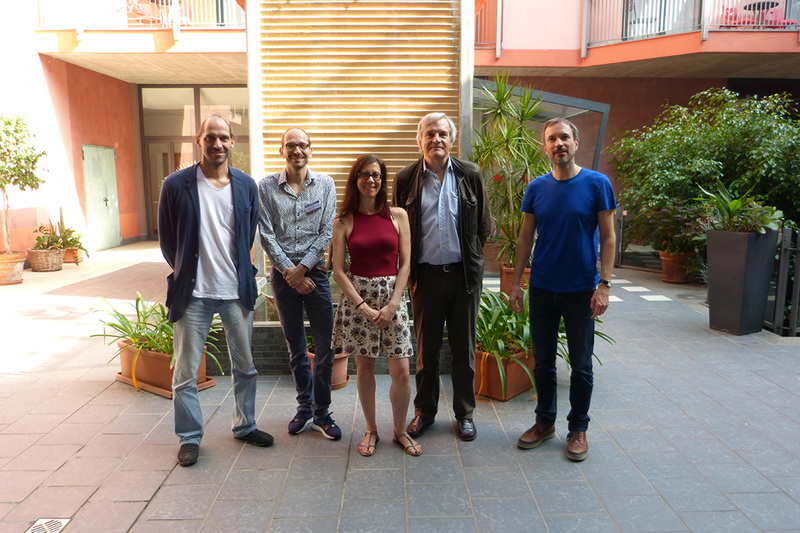 A big thank you to the speakers who have agreed to share their teaching with us! 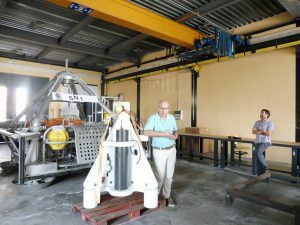 Prospection géophysique de potentiels sites archéologiques situés à proximité de la cathédrale de Chartres. Comment modéliser la topographie au fond des océans ? 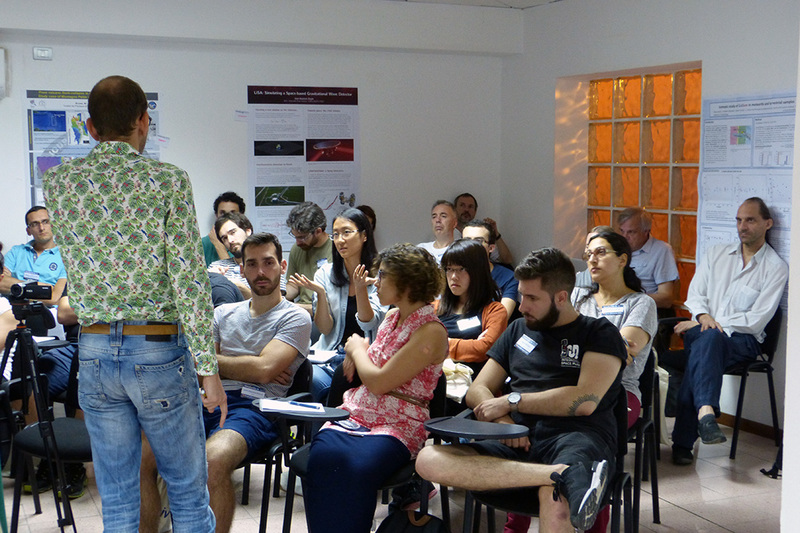 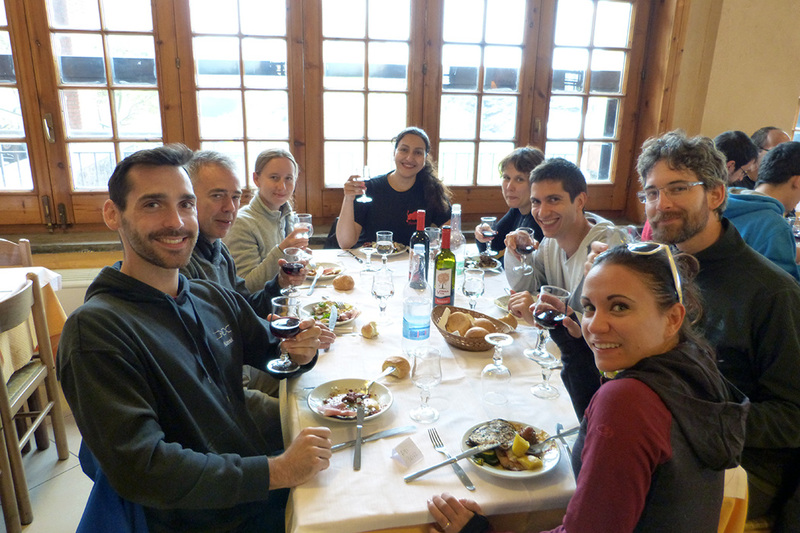 Find here some pictures that reflect the good moments of the Fall School! You can browse the image gallery with the right and left arrows on your keyboard.